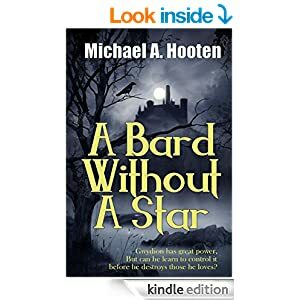 I’ve got a new book out, A Bard Without a Star. It’s only available in ebook right now, but I hope to have the dead tree version available later this week. So something interesting happened. I figured while I waited for the dead tree version to come out (I’m waiting to make sure the proof looks right), I’d run a free promotion on the ebook. Amazon allows it to be offered for free for five days every three months, and it can be a good way to get some exposure. But I don’t do much marketing yet, I usually just put a post or two on Facebook and call it good. I’ve done okay with this method, but nothing like what happened this time. In case it’s hard to see, that’s a screen shot from this morning. I’m in the top ten on three different lists. 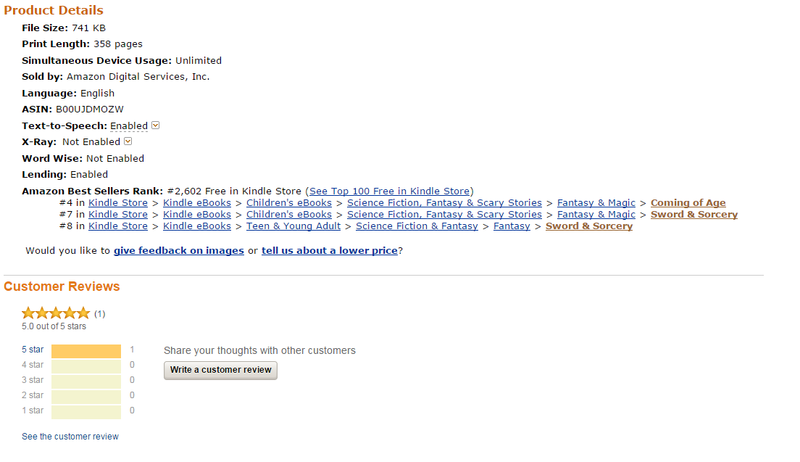 True, it’s the lists of free Kindle books, but still. I’ve given away more of this book than any other before it. I’m not sure what is going on, but I have my suspicions. I know that a couple of my friends shared my Facebook post, and that got the ball rolling. And although my single review is really great (I think Pat is becoming a True Fan), I’m the only book on the lists with so few reviews. Some have hundreds. No, I think it’s a matter of exposure, and momentum. By being on the first page, I think people see it and decide to take a chance. It’s free, right? What have they got to lose? And although the lists are obscure, they’re not so buried that people who are interested in that kind of fiction won’t look at them. Whether or not this translates into hard sales of my other work, we’ll just have to wait and see. And many thanks to anyone who has taken time to read it so far. There’s more coming in Gwydion’s story, plus much more set in Glencairck.